Sat, January 26, 2019 3:00 P.M.
Join Wilma Theater's Portable Studio program, with the Friends of Independence Library, to collaborate with professional theater artists, share stories and ideas, and meet your neighbors. 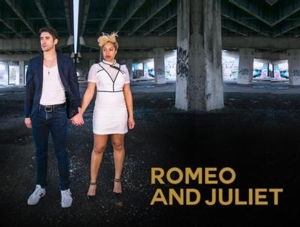 No previous acting experience is required, and workshop attendees receive complimentary tickets to the January 22 performance of Romeo and Juliet at The Wilma Theater! Don't miss the previous week's program of Theater and Storytelling on Saturday, January 19; or Romeo and Juliet: Meet the Director and Dramaturg on January 25.